Just wanted to let you know that I also waited for 2 months for my money, but I have received it all as of this date. I am also aware of other players who have also received their cashouts. They did have a problem but it looks like things are slowly getting back to normal. I love playing at Vega...the CMs and the support staff have been nothing but helpful to me and this looks like a witch hunt to me. To anyone reading this, give them a chance!!!!! Happy to hear Vega has 2 happy players... we STILL have players who haven't been paid for months..
And to the "witch hunt" comment.... you found your way to make this thread... now take a little time and read through the MASSIVE amount of information and proof we have of bingovega owner/management's corrupt past. Words are cheap! Can you both produce evidence that you had a pending payout at Bingo Vega and that you also received it? You all must really love Vega if you came here just to praise them! What caused you to come to bingo players union? How did you hear of us? Yes! The past is the past! Problem is Mike Yates and Bingo Vega's past keeps catching up to them. 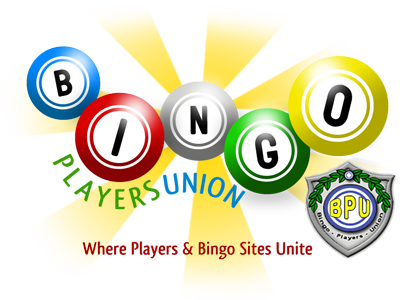 I also know for a fact that The Yates Family stole millions from their investors and blocked their access to Bigtime Bingo, Online Bingo and Bingo Palace and all this happened in the not too distant past. I have been with Vega for years, I have ALWAYS gotten my cashout now some might of taken a little while but I got them and this last one I got was in the time frame stated! I have been reading posts on BPU for years but in order for me to post I had to JOIN! And to the ones who did not get a confirmed cashout need to read the rules and wager requirements BEFORE playing Online Bingo/Slots etc! What proof have you got on this? Problem is Mike Yates and Bingo Vega's past keeps catching up to them. I also know for a fact that The Yates Family stole millions from their investors and blocked their access to Bigtime Bingo, Online Bingo and Bingo Palace and all this happened in the not too distant past. Where's your proof? I have a question here. Do you who have waited for maybe weeks or months stop playing until your withdrawal has been processed and is in your hands? I know you cannot deposit with a withdrawal pending, or at least that is what the rules say. okay just curious.. I know the withdrawal being approved process takes the least amount of time. Getting the money into the hands of the players takes the longest. Thanks for your response. It is crazy how people who won after me received all there money. The same brown nosers that do all this praising. I was approved for all mines and know the RULES. So as of today still waiting and have played many sites and have never had issues like this one. I can NOT speak for anyone but myself and im still waiting on funds. Yes the CMS are great and customer service is friendly but the issue goes beyond them. I have also noticed how phony players are as long as they winning its kool but as soon as other players like myself win which I win often the hate comes out! You got players that swear they are cms on the payroll (Brown nosers). I will continue to wait and for the two players thatgot there money good for you! Still waiting after being promised I would receive payouts two weeks ago. It is really upseting when you are promised and let DOWN. Five months is a long time to wait but to know that others who won months after me are paid pisses me off. I guess you cant take people for there word anymore. It has been confirmed my final payments are to arrive first thing in the morning. Very appreciative after this whole ordeal. It has been a long process but thankful that they did process payout!